Give us a shout if you have any questions! 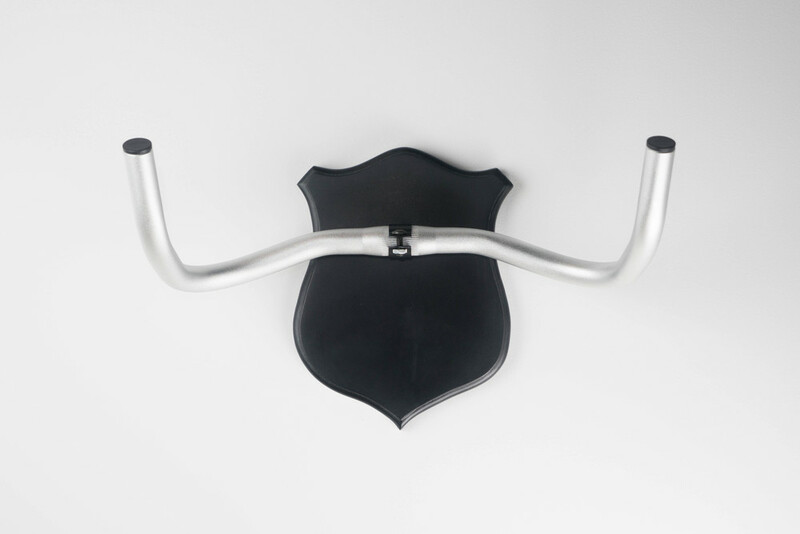 Bike Antlers are a standout piece for any urban-cabin. Starting with a simple piece of wood, we hand-cut every plaque with care and then mount our favorite bike handlebars to create a unique taxidermy mount for your home. The Bike Antlers team, comprised of an aunt-uncle-niece combo, has been working together for over three years to create unique, beautifully designed, pieces of art to be hung in the home, or near your favorite Schwinn. A perfect gift for any bike-enthusiast! We want to make you a pair of Bike Antlers that reflect your unique style, whether you lean toward rustic or modern on the design spectrum. Each set of Bike Antlers is hand-made and has a personality of their own. Give us a shout to pre-order your very own pair! One snowy day on Seward Ave. a girl with not-enough coffee was startled by the truck full of junk in front of her. Curiosity took hold and as she inched closer she realized her eyes had deceived her. That wasn't a deer buried in rubbish - it was simply a rusted over bicycle! And so began, Bike Antlers.